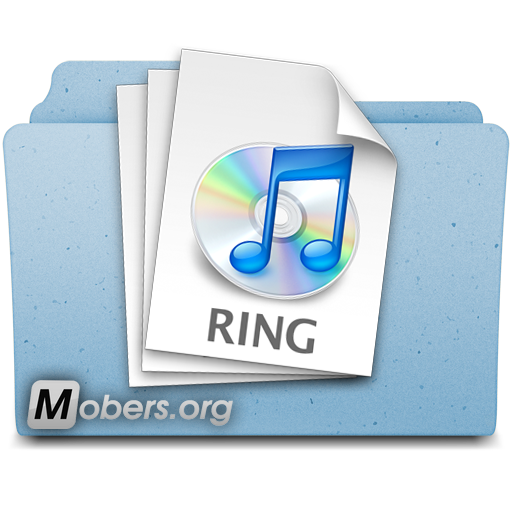 10/1/10 - 11/1/10 — Mobers.ORG — Your Daily Source For Mobile FUN! The new part of the game takes us to Vietnam. Will have to run pretty jungle and swamps, firing in the Vietnamese soldiers and dodging grenades. Your weapon is the M16, and three grenades. The same way (as usual in games of this series) you will run a couple of your compatriots and help you destroy the enemy. Sometimes the mission will change with a simple assault, on the defensive, or even escape from captivity. You even will have to shoot at enemies from a flying helicopter. Vobschem game is quite dynamic and interesting. Not a bad graphics and sound. The game will take a worthy place in the collections of fans of the series or just let with interest to spend a couple hours. 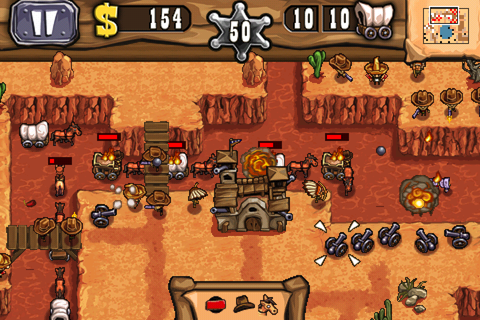 Guns'n'Glory is a somewhat rare exception to that, and I really can't believe it hasn't generated more buzz in the time since its release over a week ago because it's one of the most unique tower defense games I've played in quite a while. 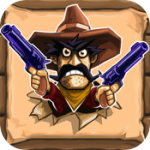 Handy Games did a great job of combining some elements of realtime strategy with the standard tower defense formula as well as a ridiculous premise, great sprite-based graphics, and a western themed soundtrack that fits the game perfectly. On top of that, it's even universal and while I prefer it on the iPad, it's just as much fun on the iPhone. 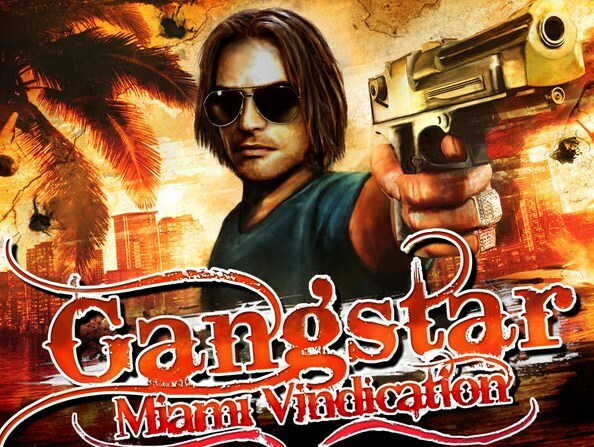 Plunge into Miami gang life and live a fast-paced adventure in the streets of America’s wildest city.Gangstar: Miami Vindication features the most memorable crime story ever in a mobile game,set in hot locations across the city, indoors and out. Defeat the rival Armada gang, free your kidnapped little brother, and become the king of the city! Enjoy new amazing vehicles to drive, from regular cars & motorcycles to jet skis and even a helicopter! 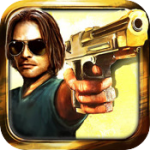 ALSO CHECK OUT GANGSTAR 2 : KINGS OF L.A.
Get ready for frantic arcade classic shoot em up action with the new Metal Slug Mobile 4. Play as Leona or Roberto and fights against fierce hordes of enemies. Thanks to powerful weapons such as the rocket launcher and flame thrower, blow up and torch everything in sight to defeat the enemy. The I.N.K.T. Corporation has declared "Colour is a Crime"! Only our unlikely hero de Blob can defeat the Inky soldiers that have leeched Chroma City of all its colour. Flip, bounce and smash your way to launch a color revolution and save your city! • Casual Action-Puzzle game with a highly innovative and fresh approach. • Accessible & addictive De Blob is for everyone! • Blob has “gelatinous” physics it bounces, resizes, rolls, changes its colour etc. • Paint the town red…or green or blue or brown - Almost everything on the screen is paintable! • Several game modes including Race Challenges, Combat Challenges etc. 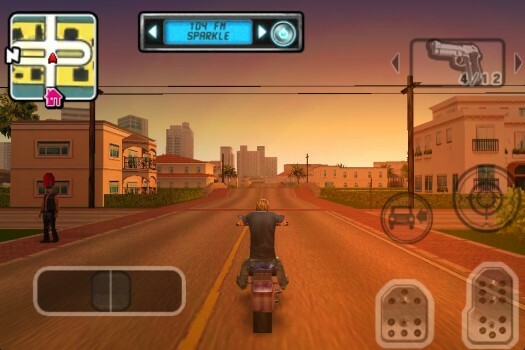 • Varied gameplay with destructible items, narrow alleys, huge highways and water etc. 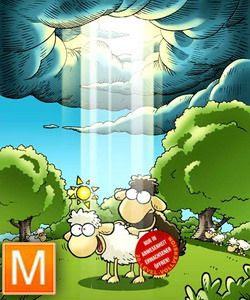 His mission: To bring pure happiness to all the sheep in the world. And so the highly potent ram from the north is back on Cupid's playground. But still, performing his labours of love isn't always an easy thing for Sven. 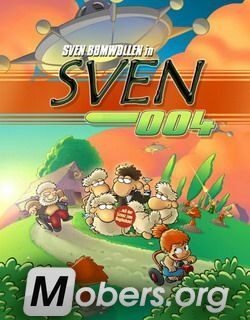 For the fourth time now, Sven has to push really hard again to satisfy each and every sheep. All new features and a lot of new fun are waiting to be discovered by the player in numerous newly designed levels. Rock's gauntlet has been thrown down - accept the challenge and transform from Rock Star to Rock Warrior in Guitar Hero™: Warriors of Rock!As Johnny Napalm, your story begins at the legendary CBGB club in New York. Master the first setlist in the all-new Career/Quest Mode and unlock "Warrior Johnny" and his special "Speed Freak" ability.Continue your quest by mastering setlists - unlocking new songs, venues and a second playable Warrior along the way - until you're ready to face The Beast in an epic battle to the finish! Or hone your chops in Practice/Training Mode where you can rehearse playing any unlocked song.Dig deep into rock opuses by bands like the Rolling Stones, Aerosmith, AFI, and Slash (featuring Ian Astbury) while completing a chromatic collection of Guitar Hero.The familiar gameplay of past Guitar Hero games combined with superb game controls designed to melt faces - not fingers - make Warriors of Rock a must-have for mobile gamers. The fate of Rock is in your hands! • Match the Green, Red, and Yellow notes as they reach the nearest the fret bar. Hit complete groups of star-shaped notes to achieve "Star Power" and double your multiplier... score BIG combos by hitting 10 or more correct notes in a row. Keep an eye on the ROCK METER to see how hard you're rocking. • Unlock "Warrior" versions of playable characters that have increased special abilities - like "Speed Freak" and "Star Power Nova" - in addition to wildly different appearances and instruments that would make even the biggest rock legends blush. • Wanna be the best rocker in the world? Check the leaderboard to see just how hard you ROCK. Initializing data transfer… Stardate: 3024. The Earth has been attacked by hostile individuals and has been entirely destroyed; few survivors managed to board freight ships to safety. A counterstrike was officially launched this morning and troops are already on their way to infiltrate enemy bases on the planets in the system. Spaceship fighter pilots are authorized to use any force necessary to neutralize the enemy ships. Avoid the security drones and pick up the energy sources they leave behind to upgrade your weapon systems. Navigate asteroid belts and prepare to fight for your life or to the death against the galactic invaders. End of log. System shutting down. There are now over 1.4 million people addicted to N.Y.Zombies! Thank you to everyone enjoying the game and Happy Halloween!! - Unique mix of casual, yet strategic game play -- this is not just a mindless shooter! - Over 20 completely different, dynamic levels; fight in places you’ve never experienced in an iPhone game -- the inside of a subway car, cornfields, Central Park, rooftops and more! - Shoot off zombies’ heads!